Don't dream about a Ferrari - drive one! However, it's not so easy to drive this stunning 750 bhp Ferrari 599XX to the limits, while keeping it under control. You have to master this powerhouse like a pro if you want to lay down breathtaking lap times on the Carrera race circuit. The 1:43 scale Carrera GO!!! 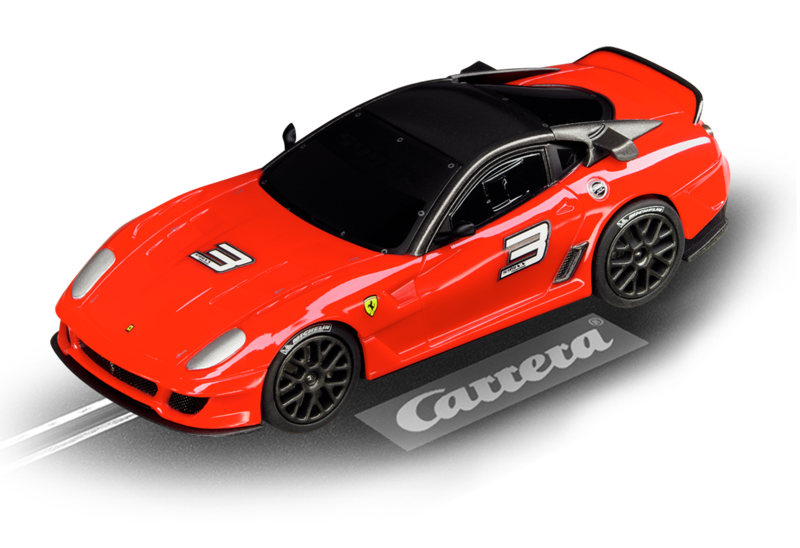 Ferrari 599XX "No.3" slotcar wins new fans everywhere with top quality authentic details. This racing car provides a perfect introduction to the Carrera racing world for children of 6 years and up.